They can be incredibly tricky or incredibly easy to have around, and some of their needs might not be as simple to predict as those of a dog. Yet, cats still love to play and enjoy having a toy or two around. 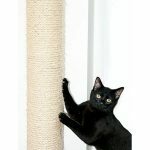 As a cat owner you want your cat to have a comfortable and enjoyable life but which type of toy should they get? You want something that’s safe and healthy as well. All these predicaments make quite a mess but don’t worry; we’ll help. 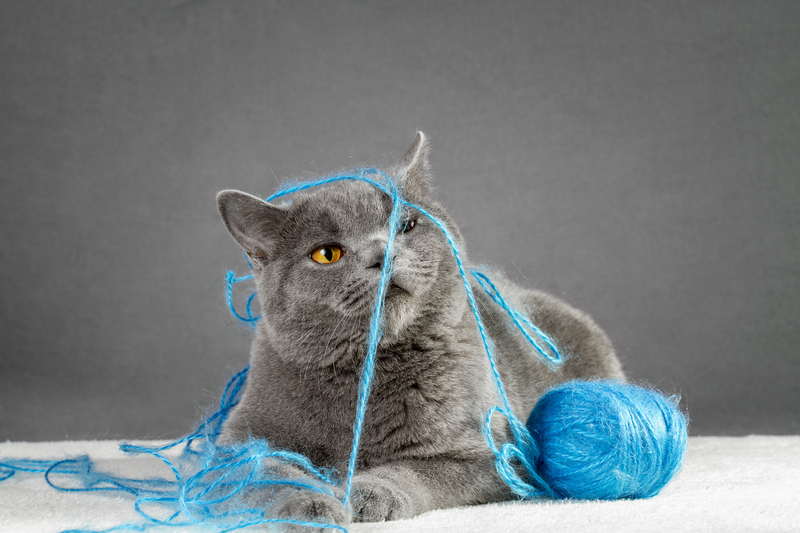 Here are some tips for choosing the best toy for your cat. Cats can have various personalities and be quite picky when they’re ready. If you ever tried to litter box train a cat, you might have some experience with that. You can have two cats of the same type and everything yet one will just stare at a toy while the other lunges at it. Remember that, and you can make your cat a happy one. Observe them and see what the kitty likes. Once you get a good handle on that you can go about picking the best toy for your feline friend! Dogs will tend to treat a toy like its prey and seek to bite it and rip it apart in most cases. Cats on the other hand may engage in a more conventional play. Give them a ball and they may curiously roll it around. This is a vital difference to understand here. Cats can be very inquisitive and curious. Toys that stimulate this aspect of them may be the ones they take to best. Catnip is related to mint and has nepetalactone. 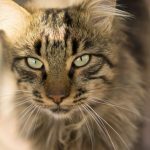 This essential oil can serve as a neurological stimulant for cats. As a result, your cat might react quite differently to catnip. Some cats might just smell it or feel tired and go to sleep. Others may get a burst of energy while other kitties might eat it or just roll around in it. Catnip toys might be the right thing for your cat, but it’s better to try it out first an experiment. Based on how your cat reacts to it you can decide whether to get more catnip toys. If it’s a kitten, then you have to wait until they’re adults. Kittens have next to no sensitivity to catnip so it really wouldn’t have any impact on them at all. Additionally, don’t let your cat have this as a permanent toy. Let them enjoy catnip toys for a while then put them away. Too much can just botch their sensitivity to it. Some cats will be content just rolling a ball around the house as time ticks away. If it’s shiny, then that’s a plus too. Cats have an eye for shiny things. A shiny toy will immediately capture their attention, and they’re more likely to be interested in it for longer. In this case the more the merrier. 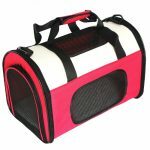 Get a few soft, safe balls of different colors and let your cat just let loose rolling them around and having fun. Cats can lose interest in toys extremely quickly. 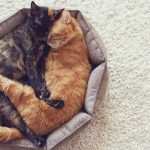 You’ll want to buy more than one toy for your cat. Furthermore don’t give them access to all the toys at once. Sometimes it’s best to let them play with their toys one at a time. As soon as they’re done put the toys away. Over time you can shuffle around the toys you give your cats access to. This might help extend interest in their toys, and they’ll be more likely to play with them. In fact, there are even interactive toys that aim to mentally stimulate your cat. This could range from toys they directly interact with to something as simple as using a laser pointer. Consider also getting a cat scratching toy. Cats love this stuff, and nothing feels better than a good scratch if you’re a kitty. As a plus, a cat that uses a scratching toy won’t be using your furniture to sate that instinctive urge. Better for your costly decorations and your cat all round! Although cats like toys that satisfy their curiosity and inquisitive nature they also do treat toys like prey from time to time. It might be ideal then to get them toys such as a toy mouse or other playthings in the shape of small animals. This lets them rough house a bit with their toys while venting some stress. Yup, animals have stress too so don’t underestimate the power of some stress relief for our favourite pet! Where dogs always need toys larger than their mouths, this doesn’t apply to cats. You want a toy that the cat can fit in its little mouth. That way they can pick it up and strut about with it much the same as they would catch prey. They simply love doing that stuff. If all else fails to know that there are safe toys right there in the house. From something as simple as a ball of yarn to a typical bouncy item. Only make sure the items you use are safe so don’t let them get access to shiny aluminum foil, balloons or small marbles. Swallowing any of that is a no-no. That said, with the right choices your cat can easily be a happy one!